There will be shifts off but you will never get full day off. When the ship is in port, you may take the opportunity to go ashore to tour, shop, dine after duty hours. You will get cabin with up to 4 bunk beds, desk and chair, T.V. and telephone. Space is very tight. Crew members share cabins with one, two or three team members, depending on the position. All roommates are responsible for keeping your cabin clean and tidy at all times. Towels and linens are provided once a week. You have to go to crew mess to have meals and snacks. You get half an hour off for each mealtime when on duty. Meals are buffet style; You have to serve and clean up your dish after meals. 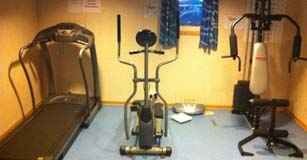 The Crew Gym is available for all crewmembers. Crew shop is available for buying toiletries, cigarettes, chocolates, and other necessities needed onboard. There will be Crew Bar with strict operating hours and rules. You are not permitted to become inebriated or intoxicated while on your assignment contract. You are not allowed to drink alcohol while on duty. Crew uniforms will be issued to you onboard. Crew uniforms and work clothes are cleaned free of charge. 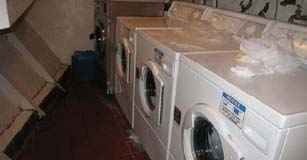 Laundry machines and dryers are provided free of charge for the crewmembers for personal use. You will be required to use non-slip safety shoes while on duty. 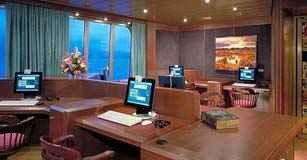 The Internet Café is available for all crewmembers at posted hours. You may have to pay for internet access. Wifi is readily available throughout the vessel. You can bring your own electronic devices to use. You will need to purchase internet access/minutes and configure accordingly. Your family and friends can send you mail via your office. Dating fellow crewmembers is allowed. You will have the opportunity to work and make lifelong friends with crewmembers from around the world.